Gerard Schurmann was born of Dutch parents in the former Dutch East Indies, but lived in England from childhood until 1981, when he settled in the United States. He studied composition with Alan Rawsthorne, who became a lifelong friend, piano with Kathleen Long and conducting with Franco Ferrara. 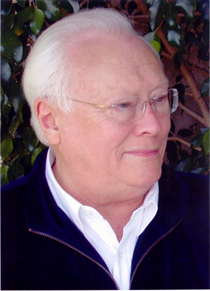 The recipient of numerous international awards and commissions, Gerard Schurmann has written music for a wide variety of media. His catalogue of concert works includes Six Studies of Francis Bacon (1968) and Variants (1970) for orchestra, The Gardens of Exile (1989-90) for cello and orchestra, the opera-cantata Piers Plowman(1979-80), the choral cantata The Double Heart (1976), concertos for Violin and Piano and many solo instrumental works, songs and chamber music. Schurmann's Concerto for Orchestra was commissioned by Lorin Maazel and the Pittsburgh Symphony Orchestra and first performed by them for their centenary anniversary concert in March 1996, with conductor Edo de Waart. The piece was subsequently recorded on the Chandos label, alongside Schurmann’s Violin Concerto, featuring the BBC Philharmonic conducted by the composer. Gaudiana (2000-2001), a set of Symphonic Studies for Orchestra that draws its inspiration from the work of the Catalan architect Antoni Gaudi, was written for and first performed by the Barcelona Symphony Orchestra in 2005. Gerard Schurmann has now made his home in the USA, but continues to have close musical ties with England and Europe.